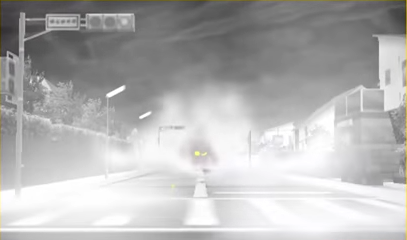 After seeing Seth get so into Pokemon omega Ruby I really wanted to see what was so addictive about open world role playing games. So when I started playing the legends of Zelda twilight princess HD a month or so ago I was completely hooked. 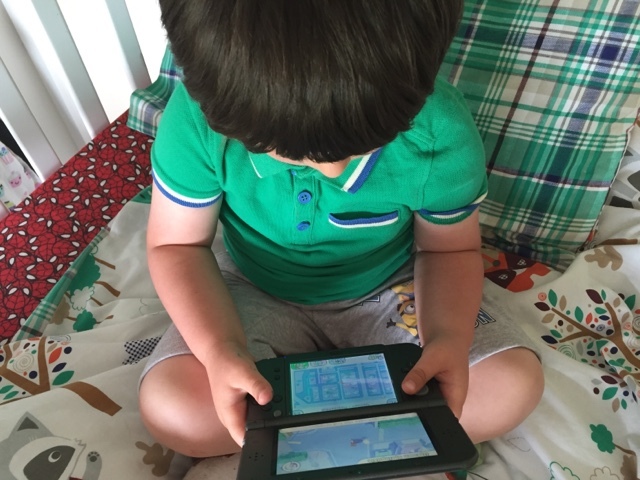 The only disadvantage to the game for me was that it was a WiiU game and although the boys have all the time in the world to get stuck into a game of that size, I find it really difficult as when they are playing I'm usually cooking tea or cleaning the house. 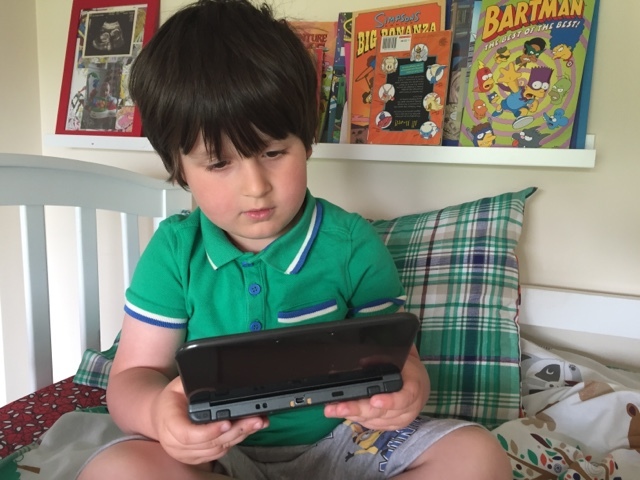 I love playing the WiiU but for me, it's all about my 3ds because I can fit short bursts of playing into whatever I am doing. 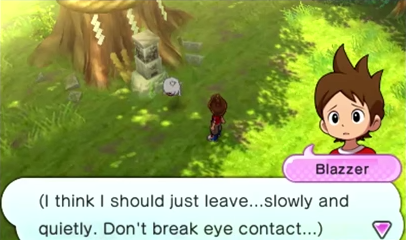 Over the last few months, I've been reading up on all the hype surrounding YO-KAI WATCH coming to the Uk and I was eager to give the game some of my gaming time. 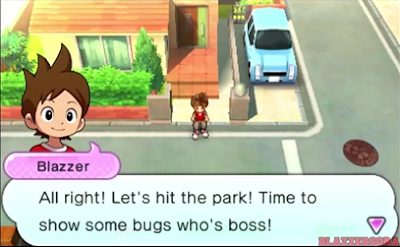 The layout of the game is very similar to the Pokemon franchise with a huge free roaming world that you unlock as you proceed through the story. 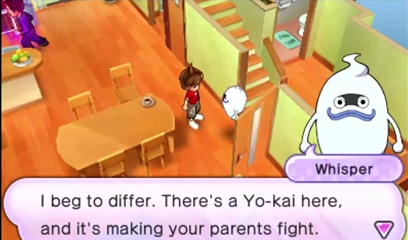 You start in a town called Springdale and what starts as an innocent hunt for bugs, kicks off a huge YO-KAI adventure when you meet Whisper, a YO-KAI that gives you the ability to see (the usually invisible to the human eye) YO-KAI, through the use of the YO-KAI WATCH. 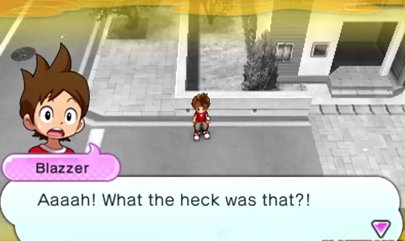 The idea behind the game is so much fun, with YO-KAI being the main cause of all the things that are going on in the town. Do your parents keep fighting? Or for no apparent reason do you angrily snap at people and say things you don't mean out of pure frustration? 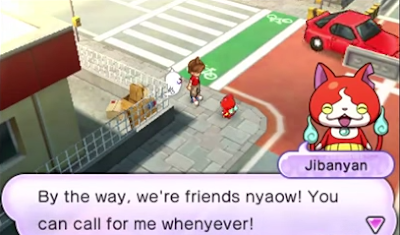 Then there is probably a YO-KAI near by responsible for all of your troubles. 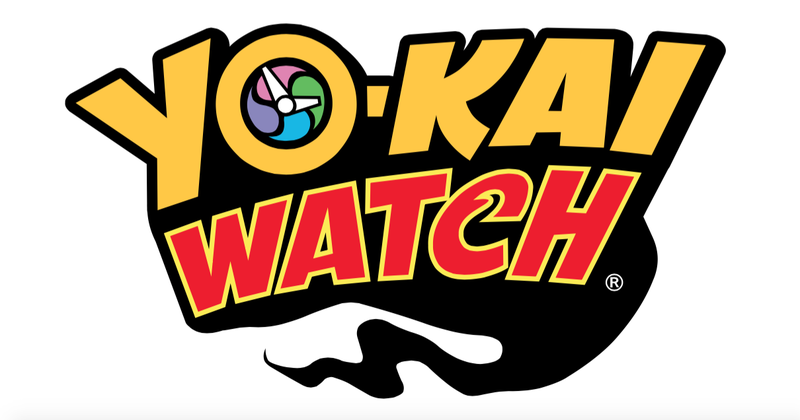 Thankfully they won't be causing you grief for too long thanks to your YO-KAI WATCH that helps you track down the little trouble makers. You can then befriend them and use their powers for good, helping you to battle against other (much larger) YO-KAI along your journey through the game. 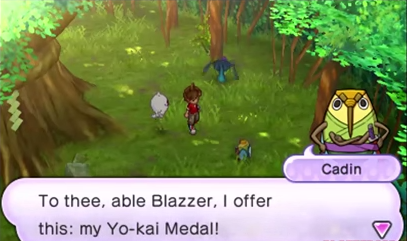 The battles do start off fairly easy, especially the YO-KAI that you find hiding in trees and under cars etc throughout the town (they are everywhere and it is fun searching for them). I felt like I was tricked into a false sense of security though because as you progress through the game you really need to be strategic about the YO-KAI that you use and the items that you are carrying to assist. The boys love 'Terror time' in the game when venturing out at night. 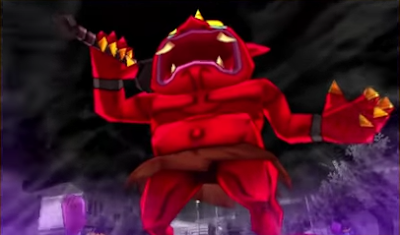 You have to sneak around trying not to get caught but if you are spotted the Oni chases after you and you have to run as fast as you can to get to the exit. With over 200 YO-KAI to collect I can see that this is going to keep me occupied for a very long time. 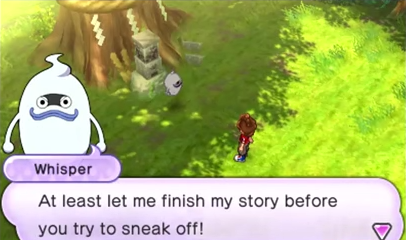 I've seen some great shots of YO-KAI that I've not encountered yet so I'm really looking forward to continuing the game. 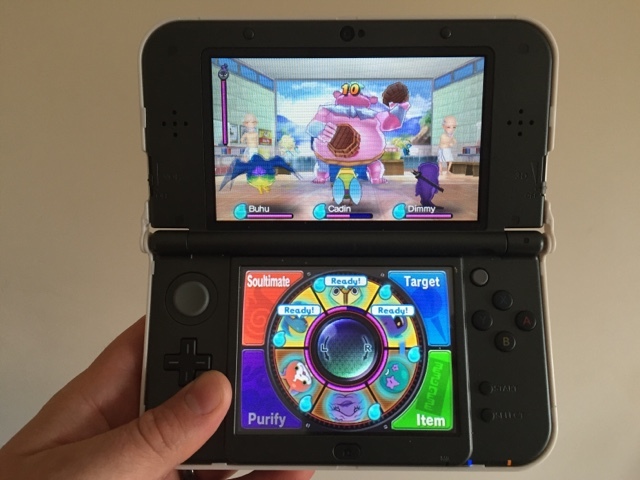 Aside from the main story, you can spend your game time levelling up your YO-KAI too and can even splice characters together to make more powerful ones. One of the things that appeals to me the most about this game is that if I don't have time to continue the story for a bit because of having things to do I can just have a quick wander through the town, helping the citizens of Springdale with their various issues, earning you a great selection of objects to use in battle. 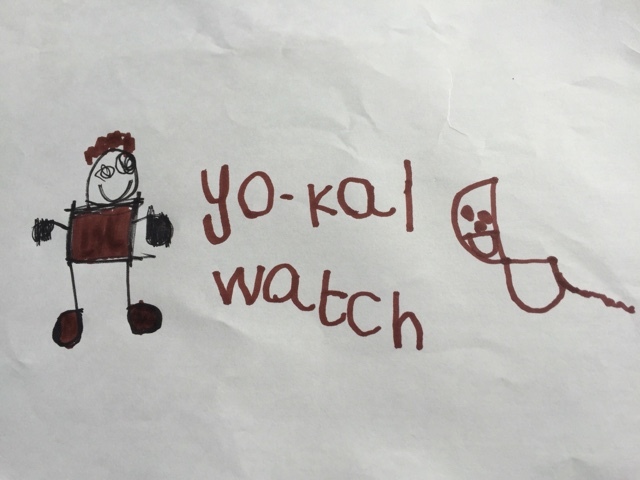 The YO-KAI craze is huge in Japan and I think it's on point to be a huge success I've here too.